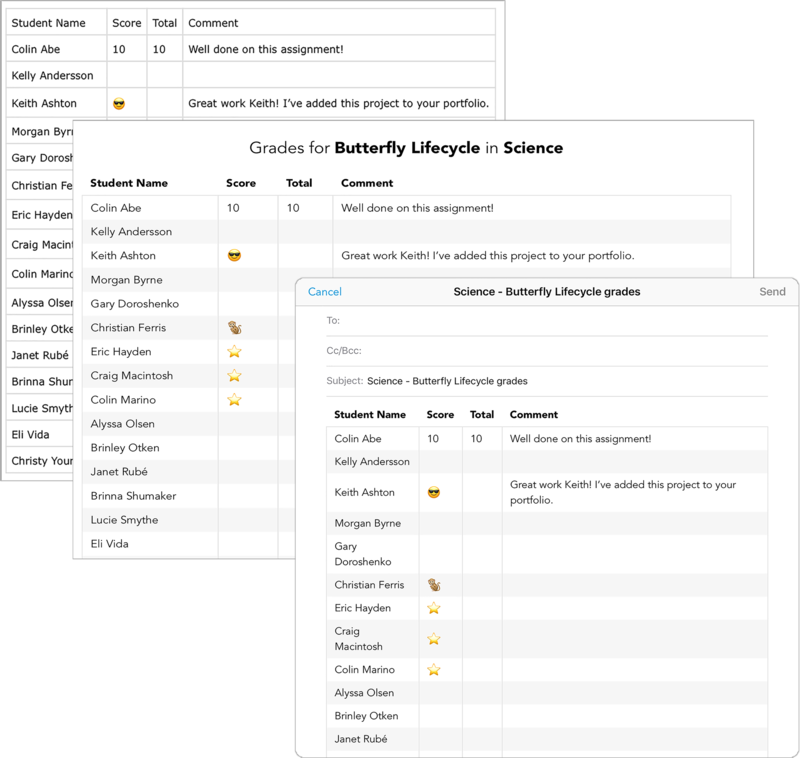 Generate a quick spreadsheet of all your students' grades with just a few clicks! 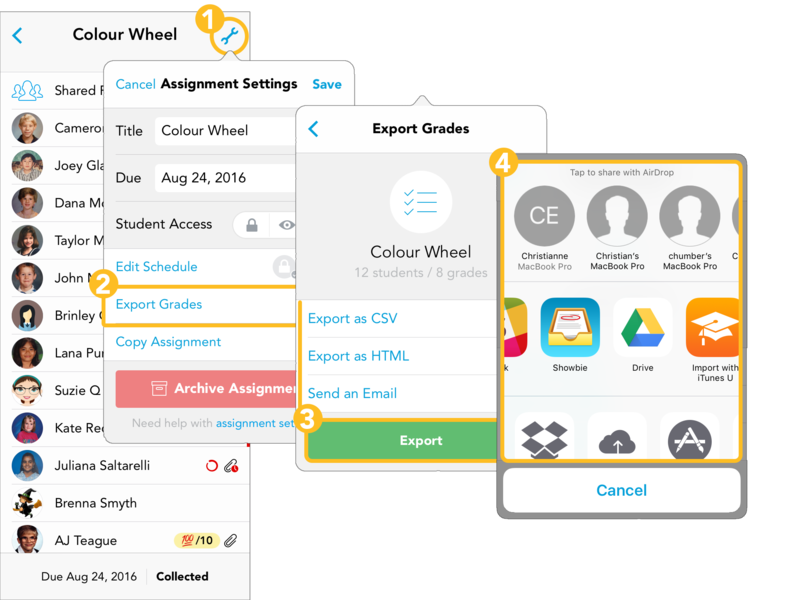 Grades can be exported in three different formats: csv, html, or email. Importing grades to your gradebook software may require converting to a different file format so make sure you look up how to import grades the one you’re using! We’re very interested in what gradebook softwares are being used by teachers. Please let us know by sending an email to support@showbie.com! Choose how you’d like to export your grades. Want to revise a grade first before exporting it? Use this guide to help you out! Missed a student while grading? Add a grade quickly and no one will notice.